Last week, I did some trolling in search of something summery to make. There are a number of foodie IG accounts I follow for this very reason. 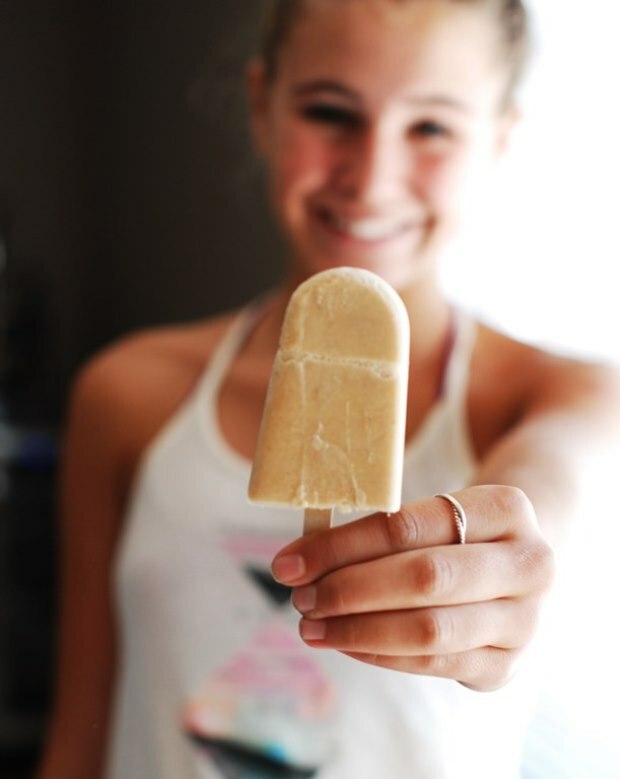 So instagram stalking I went… I came across a popsicle idea that piqued my interest… natural peanut butter is pretty much a weakness. Seeing that I had everything to make them, PB & J popsicles it was. They were delicious! Playing off of those popsicles, I wanted to try some different flavor combos. Obviously the peanut butter was staying put. Hands off my PB. The result? A PBB & C ice pop? Ok, that gets a bit confusing. 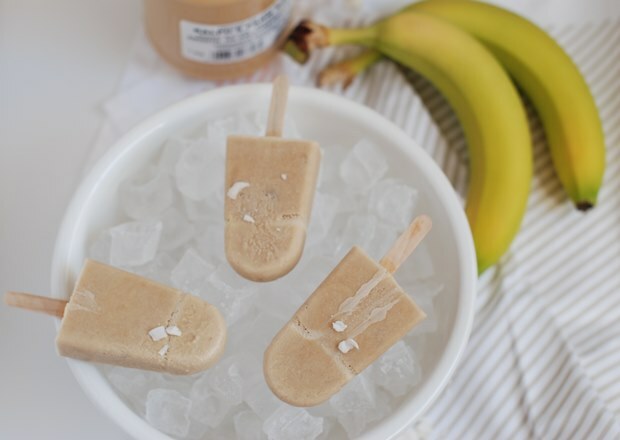 Suffice it to say that Peanut Butter, Banana and Coconut are all favorites of mine so the thought was to put em all together and see what happened! A little trial and error and I’m happy with these icy delights. They are also incredibly quick to prep. and really once you start making these you’ll realize that the flavor combos are endless. Simply combine peanut butter, almond milk, coconut milk and honey. Blend until smooth. Stir in mashed banana and coconut flakes, if you want some additional coconuttiness (is that a word??). 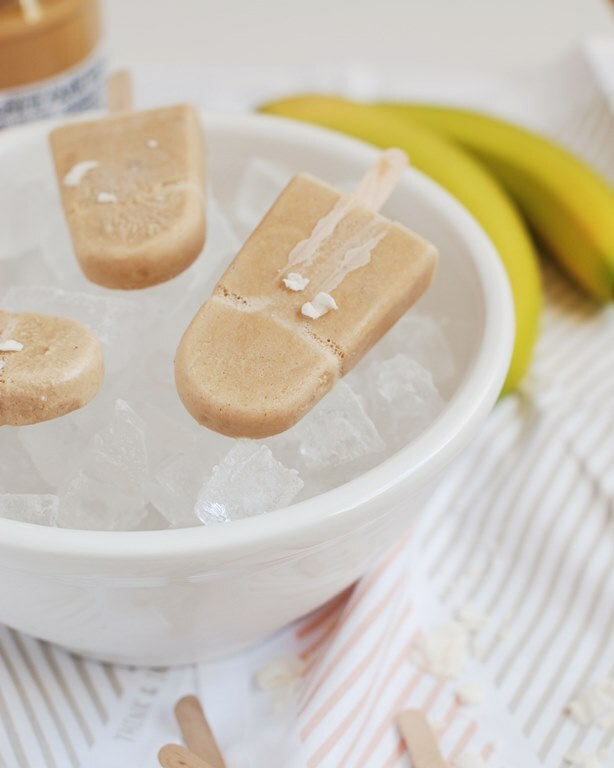 Pour into popsicle moulds and freeze overnight. Just a tip….if you are using molds with popsicle sticks, fill molds a quarter of the way full and freeze for an hour. 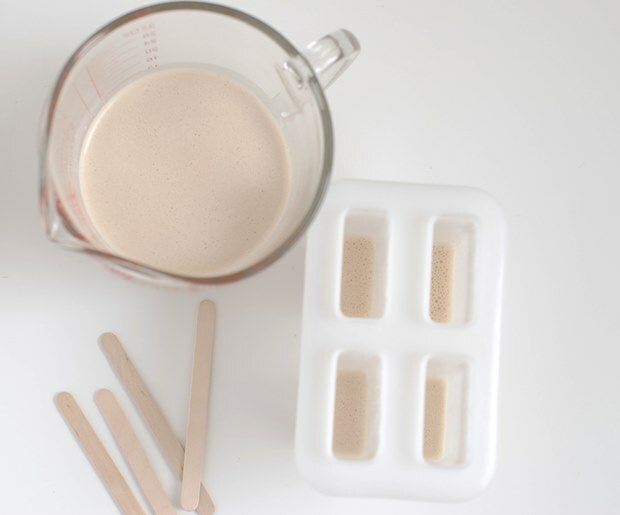 Once that is frozen you can easily insert the popsicle sticks and fill the moulds to the top. I don’t like crooked sticks, ok?? Add peanut butter, honey and almond milk to blender. Stir in mashed banana and coconut chips. Fill popsicle mold a quarter of the way and freeze for an hour. Push popsicle stick into frozen and fill the mold the top. 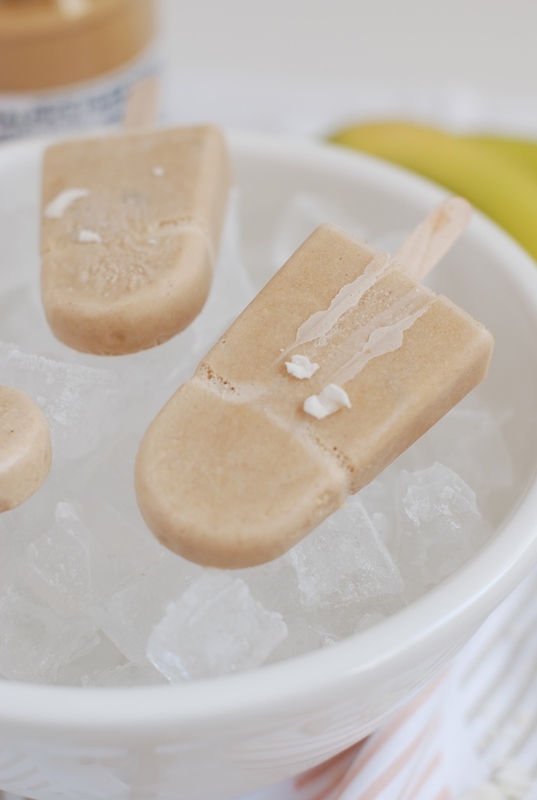 They are a much more healthy alternative to the sugary, artificial popsicles. I think they taste way better. No comparison.